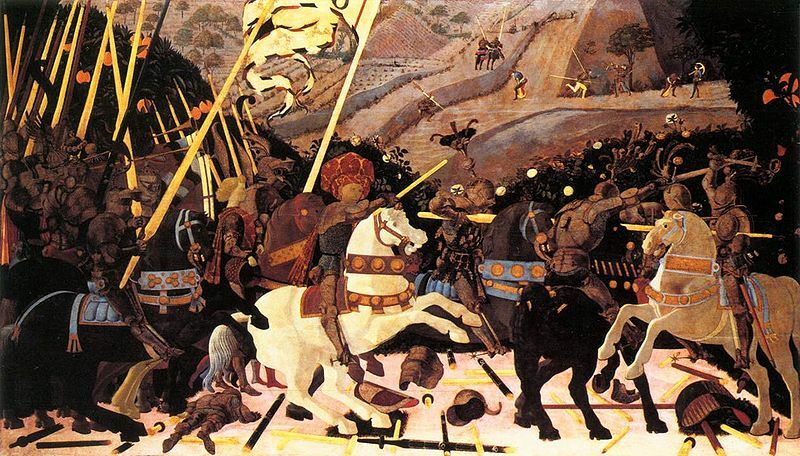 Famous for his later preoccupation with perspective, Paolo Uccello’s artwork exhibits some of the emblematic characteristics associated with 15th century art of Florence. Originally starting with a Late Gothic style, Uccello later reconciled these stylistic tendencies with his newfound interest in linear perspective. The combining of these two different aesthetic considerations makes his art very unique and recognizable. Uccello worked with many artistic mediums including paint on panel and fresco, mosaic and stained glass.